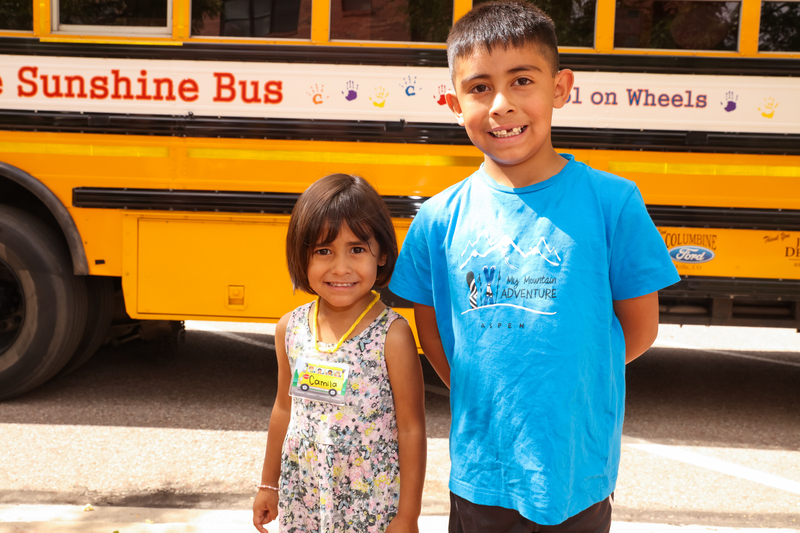 Since 2012, Aspen Community Foundation's Preschool on Wheels program has served the communities of Rifle, Silt and New Castle, provding 600 children with an important foundation for lifelong learning by ensuring kindergarten preparedness. 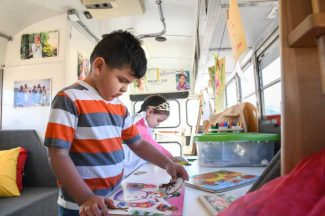 In partnership with Garfield School District Re-2, Gus the Bus and the Sunshine Bus are school buses transformed into state-of-the-art preschool classrooms. 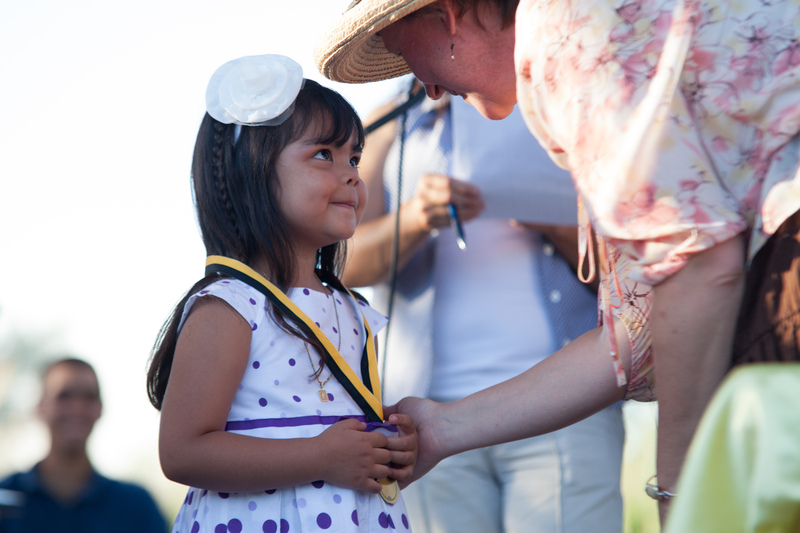 Preschool on Wheels was the first mobile preschool to be licensed by the State of Colorado. Preschool on Wheels was launched in conjunction with Aspen Community Foundation's Aspen to Parachute Cradle to Career Initiative. The Initiative's goals were clear: to ensure that children were ready for kindergarten and that students graduated from high school ready for college and career. While the Collective Impact strategy of Cradle to Career was being implemented, several gaps had been identified that could be addressed immediately. Gus the Bus was launched in September 2012 in Rifle; the Sunshine Bus started in September 2013 in Silt and New Castle. Together these buses visit 12 low income, high need neighborhoods twice a week for two-three hours at a time and can serve up to 120 children annually. Each bus has two teachers, one of whom is bilingual. All teachers have commercial driver’s licenses and drive the bus to each location. Following the premise that a child’s first and most important teacher is his or her parent, parent participation and engagement in the program has been critical to the success of the Preschools on Wheels program. The responsibilities of parents are outlined in a parent handbook and include ensuring their child’s regular attendance, participating in annual home visits and the classroom each month, providing a nutritious snack for the child’s class once a month, attending the monthly parenting classes, and attending all family events. 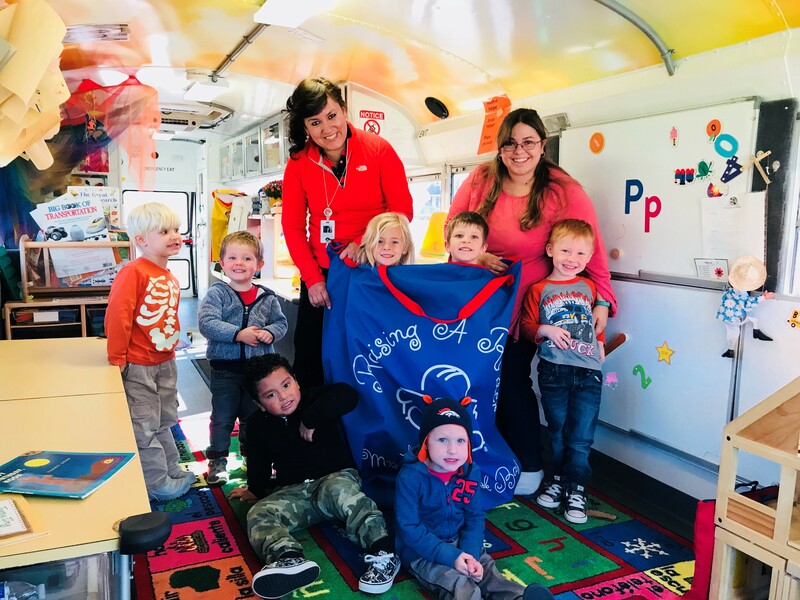 In April of 2015, the Preschool on Wheels program became licensed by the Colorado Office of Early Childhood, making it the first licensed mobile preschool in Colorado. The lengthy process had the unexpected outcome of the State deciding to add mobile preschools to their Rules Regulating School-Age Child Care Centers. The State formerly had no mobile preschool licensing classification, but after reviewing the Preschool on Wheels application, and to encourage replication of the model, the State modified its policy. Preschool on Wheels students have consistently demonstrated increases in developmental milestones that indicate kindergarten readiness. In particular, they show strong increases in literacy throughout the year. These gains are on par with children who participated in bricks and mortar preschool programs. When in kindergarten, Preschool on Wheels students demonstrate strong social-emotional skills and positive approaches to learning. 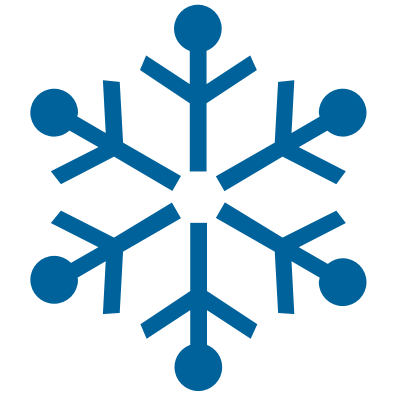 Parent satisfaction surveys show consistent, positive results with 98% of parents “strongly agreeing” or “agreeing” that quality standards were being met. 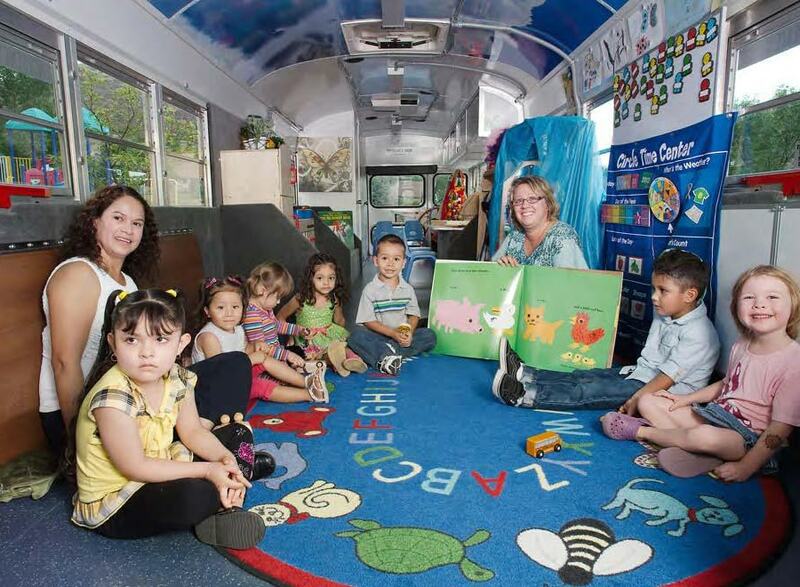 Preschool on Wheels has accomplished what it set out to do: fill a gap in early childhood education spaces and ensure kindergarten readiness for low-income children who were not able to access traditional programs. With the increased availability of early education spaces, the Preschool on Wheels program will conclude operations at the end of the 2018-2019 school year.